The Colt 45 is an interesting mixed drink that combines gin, Jägermeister, and Red Bull. 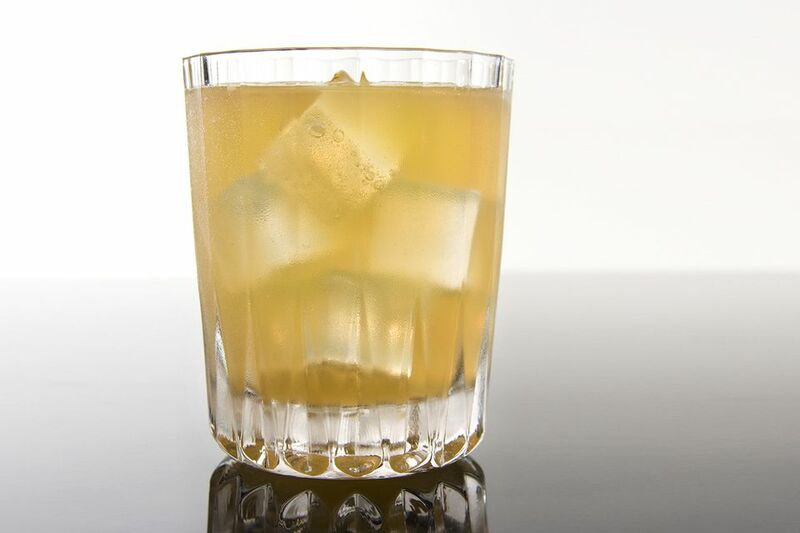 It's sort of a twist on both the Vodka Red Bull and ​Jäger Bomb, and it's a fun, high-octane drink for a long night of partying. Served as a tall drink, the Colt 45 is designed to be drunk slowly. If you enjoy the taste of Red Bull, you'll likely find the array of herbs and botanicals found in both Jägermeister and gin to be a nice addition. It's definitely more aromatic and flavorful than the other two popular bar drinks, so it is a nice change of pace. Build the ingredients in a highball glass filled with ice, finishing up with enough Red Bull to fill the glass. The amount of Red Bull you end up pouring is going to depend on the size of your glass and how much ice you use. You may only need 4 ounces or as much as 6 ounces. The average can of Red Bull is 8.4 ounces, though it's also sold in 12-ounce cans. That means you can likely get two drinks out of one can, so go ahead and mix one up for a friend. Want to put on more of a show while mixing the Colt 45? Try rolling the drink rather than stirring it. Pouring the liquid between two mixing glasses is a great bartending skill to learn. When you get really good at it, you can extend the length of your pour as long as your arms reach without spilling a drop. Red Bull used to be a one-flavor drink, but that's not the case anymore. You can now find it in many flavors, from lime to kiwi apple, so experiment with your options to put a fun twist on the Colt 45. If gin is not your thing, feel free to mix up this drink with vodka instead; it will be more like a Jäger-spiked Vodka Red Bull. No matter what you call it, it's important that you enjoy what you're drinking. Any other energy drink can also be used to make a Colt 45. If you prefer the taste of one of the other options available, substitute it for the Red Bull. The flavor will be different, of course, but the effect will be the same. The Colt 45 is a tall drink that's mostly made up of Red Bull, so it's probably not as strong as you may think. In fact, when made according to the recipe, its alcohol content is only 13 percent ABV (26 proof), similar to a glass of wine. Yet, as with many mixed drinks like this, the energy drink can mask the intoxicating and sedative effects of the liquor. So, while you may feel like you can drink it all night, sooner or later the liquor's going to catch up with you.